After purchase, you will download log-in credentials along with instructions on how to access your All-Access Digital pass. You will also receive a link to the credentials in your email confirmation. An All-Access Digital Pass will not be mailed to you. Content will be available for online viewing through October 31, 2019. 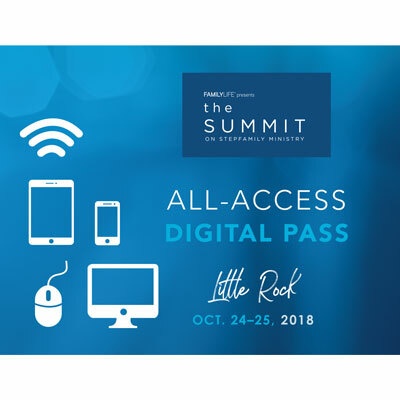 The FamilyLife® Summit on Stepfamily Ministry All-Access Digital Pass gives you the best content from the 2018 Summit, including all of the breakout sessions. PLUS, we have included bonus videos that includes backstage interviews and messages from previous Summit's.